Earlier this year, the bank announced that around 100 branches across the country would have cash services for half days only. BANK OF IRELAND has rowed back on a decision to discontinue all-day cash services in more than 100 branches around the country. The bank announced in June that around 100 branches across the country would have only half-day cash services, with critics saying the move would have negative consequences for elderly people. It followed dialogue between the Department of Finance and the Central Bank, which is looking for banks to use less cash, although it does not want them to go completely cashless. However, a spokesman for Bank of Ireland confirmed to TheJournal.ie that the decision would now be reversed, and that all-day counter services would be in place in 164 branches by the end of the year – up from 61 branches currently. In a statement, the company said that all of its branches provide cash services, whether over the counter or through automated machines, and that the decision was made following feedback from customers. Sinn Féin Finance spokesperson Pearse Doherty welcomed the move, saying that Bank of Ireland had recognised that the original decision was “the wrong one”. “I am sure that commercial common sense has played a factor with the bank realising its mistake,” he said. However, he claimed a number of locations would still be left without cash services – which a Bank of Ireland spokesman rejected – saying that pressure would continue until those communities had their services restored. 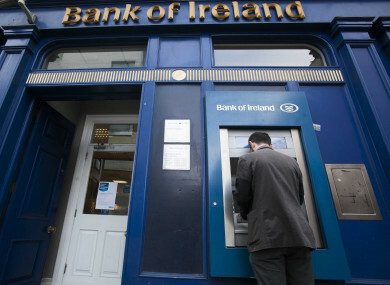 Email “Bank of Ireland reverses decision to stop all-day cash services in over 100 branches”. Feedback on “Bank of Ireland reverses decision to stop all-day cash services in over 100 branches”.